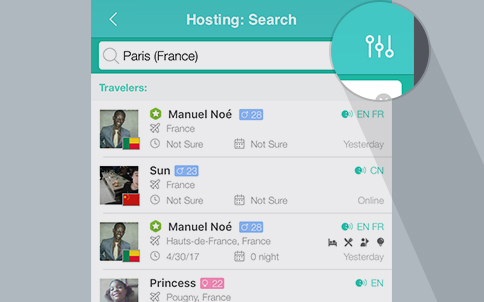 In the search bar located at the top of the Hosting screen, enter and choose a place where you can offer for hosting, then find the most suitable travelers via the filter function located at the top-right corner of the screen. 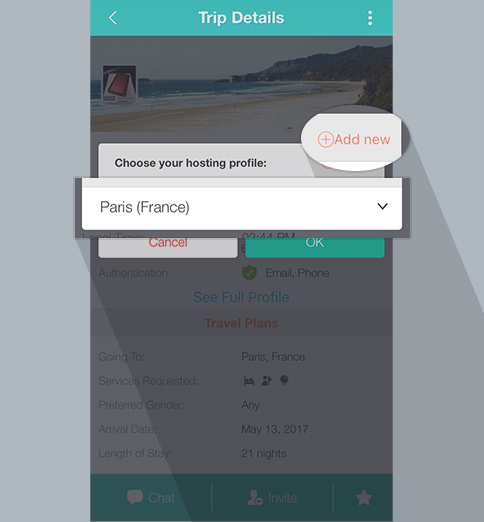 1) Go to the Trip Details screen of the traveler, then make your selection from existing hosting plans or make a new hosting plan. 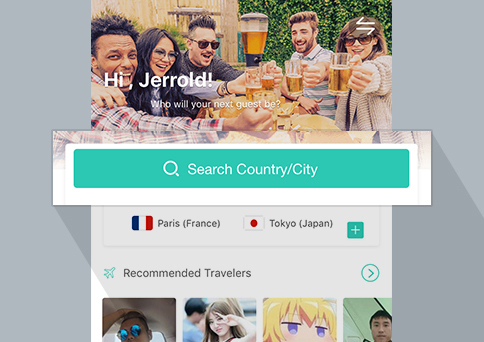 2) After filling in the hosting details, send out an invitation to the traveler. After sending out your invitation to the traveler successfully, click Pending to view and process all requests and invitations. 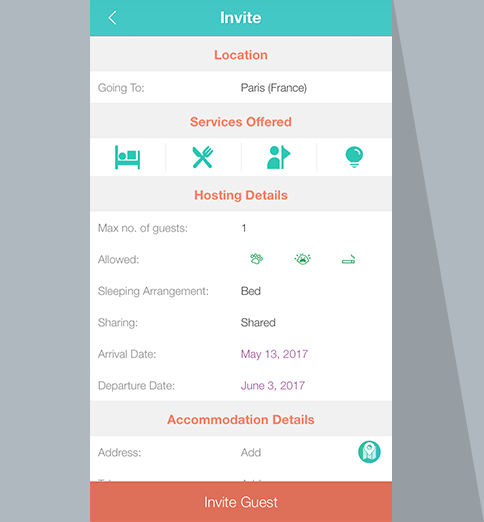 Click Hosting to manage all reservation details. A single click on the search button allows you to easily update the search results of travelers with the relevant place, avoiding the cumbersome steps to enter again. 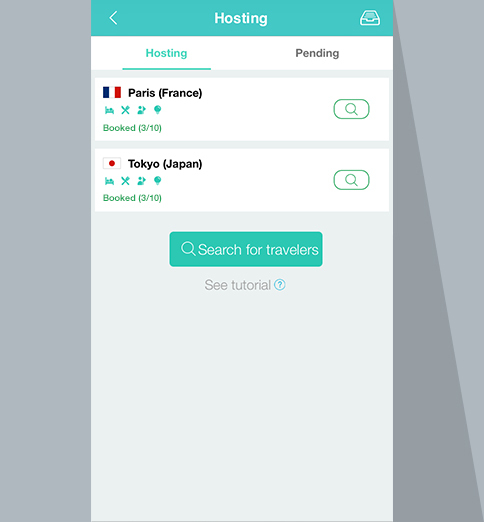 Go to the Pending screen and process travelers’ requests and your invitations promptly. You can also withdraw invitations before travelers accept them. If you have completed your reservation, please do not hesitate to go to the Hosting screen and cancel it.